While most online references will indicate that the history of the bass guitar dates back to the 1950’s with the Fender Precision electric bass, the true history of the modern-day bass began approximately 30 years earlier with Lloyd Loar’s invention of the double bass. It is also possible to ascertain that the real forefather of the bass guitar as we know it was in fact the Latin guitarron, or fingernail bass, that was a fixture in traditional Latin music as far back as the 1600’s. In modern times, a bass guitar is used to establish the beat and melody for many styles of music including blues, country, pop, metal, reggae and rock. Apart from natural talent and endless hours of practicing licks and scales, a selection of nifty tools and accessories can make a world of difference in the life of a bass guitarist. 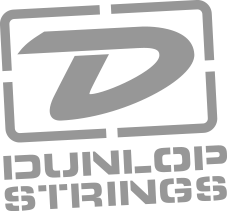 A good-quality string cleaner should be used after each playing session. A cleaner will not only visually clean your strings but will enable you to play faster while brightening your sound as well. The lifespan of your fingerboard will also be increased. A guitar cleaner and polish is a spray that will both clean and protect your guitar. It removes smudges and fingerprints and will give your guitar a beautiful shine. Leather straps are generally the most durable but it all boils down to personal preference in the end. While classic black leather straps remain a popular choice there are more and more synthetic straps becoming increasingly sought-after. If you are looking to quickly release your strap as well as prevent your guitar from being dropped by accident and hitting the floor be sure to invest in a straplock that will allow for the former and prevent the latter from happening. A well-designed and well-built guitar stand is a must for every guitar player. Make sure you get one that is both safe and convenient to use. Guitar stands are generally universal in design and are suitable for both acoustic and electric guitars. While a guitar stand offers a lot of convenience a high-quality guitar case is of vital importance to keep your bass guitar safe. Opt for a sturdy, well-crafted case that will offer optimal protection. It is extremely important to always play on a well-tuned guitar. No one wants to listen to an out-of-tune guitar and it can effectively be detrimental to a guitarist’s reputation. While seasoned players may be able to tune their guitars by ear, beginners generally need to make use of chromatic tuners or classical metronomes to get the job done. Many instructors advise their students to invest in a good rhythm machine. They may seem a bit pricy but a second-hand one will work just as well. The purpose of a rhythm machine is to develop your musical ear and feeling for rhythm and melody. The bassists and drummers are the most important contributors to the rhythm section and this machine will help you to listen to the drummer more intently. While beginners should steer clear of special effects, an effects processor can be very useful later on and can enhance your music significantly. When you are still learning to play the guitar it is best to keep things as simple as possible. While the humble bass guitar may not get as much attention as the regular guitar it plays a very important role in any musical ensemble because of the profound way in which it carries rhythm. Without the inclusion of bass in music many of our most beloved songs will simply not have the same appeal that they do now.